The air is hot and sticky behind the metal gates of Senda de Vida, a migrant shelter on the bank of the Rio Grande in Reynosa, Mexico. Hector Orvis-­Enrique, wearing sunglasses and a ball cap, fidgets with his hands as he sits on a cinder block wall and describes his kidnapping. Like many migrants, the 25-year-old had come to this border town after running from death threats in Central America. He’d slogged his way north from Honduras with his sights set on the United States. Members of a local drug cartel spotted him as soon as he arrived at the Reynosa bus station. They asked if he had a clave—a code confirming he’d already paid the cartel to be let into town. When he said no, they forced him into a car and sped away to a house where he was held for ransom with other abducted migrants. One of his captors put a gun to his head and told him, “If you don’t pay, you’re going to get killed.” By the time Mexican federal police rescued him, he’d been in captivity for almost two weeks. Originally, Orvis-Enrique planned to go to Texas, but now he isn’t sure. 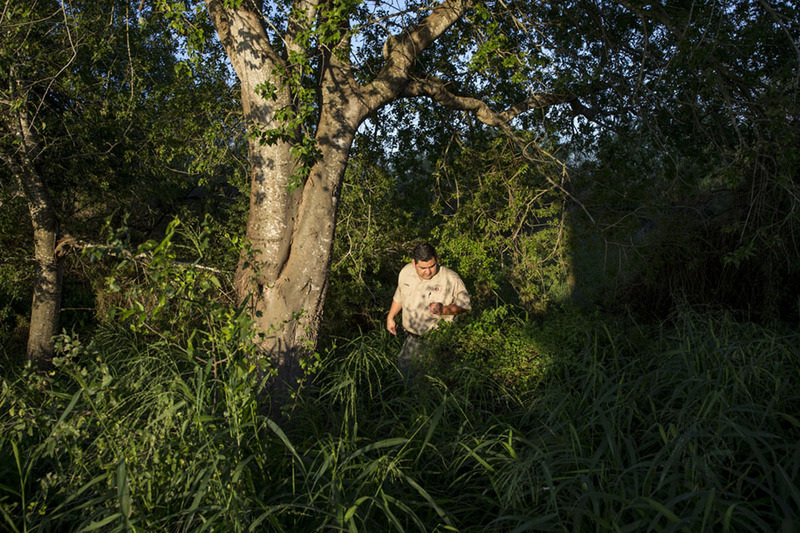 The cartel patrols the river and the road that runs beside it—a dusty stretch known as “the hunting grounds.” Even if he can reach the official border crossing about a mile away and request asylum as a refugee fleeing the violence in Honduras, he’s heard that the United States might not accept him. “Sometimes it works; sometimes it doesn’t,” he says. The bridge between Hidalgo, Texas, and Reynosa, Mexico. 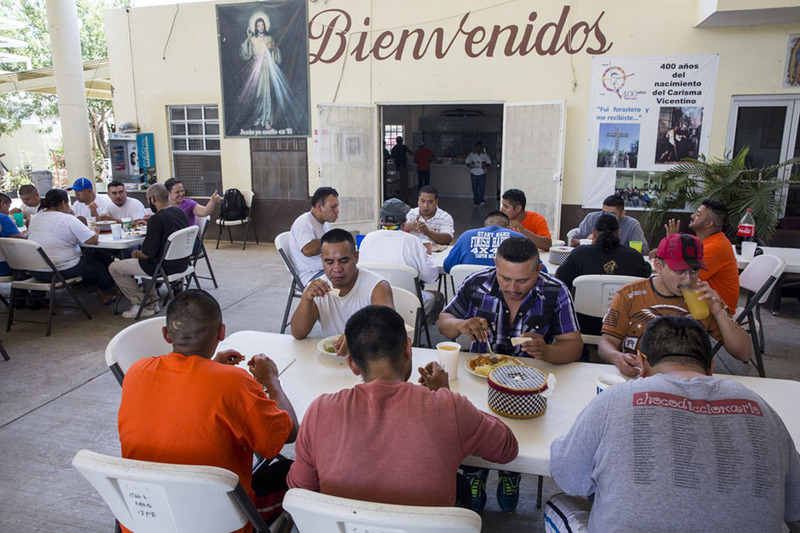 Recently deported immigrants at the Casa de Migrante shelter in Reynosa, Mexico. 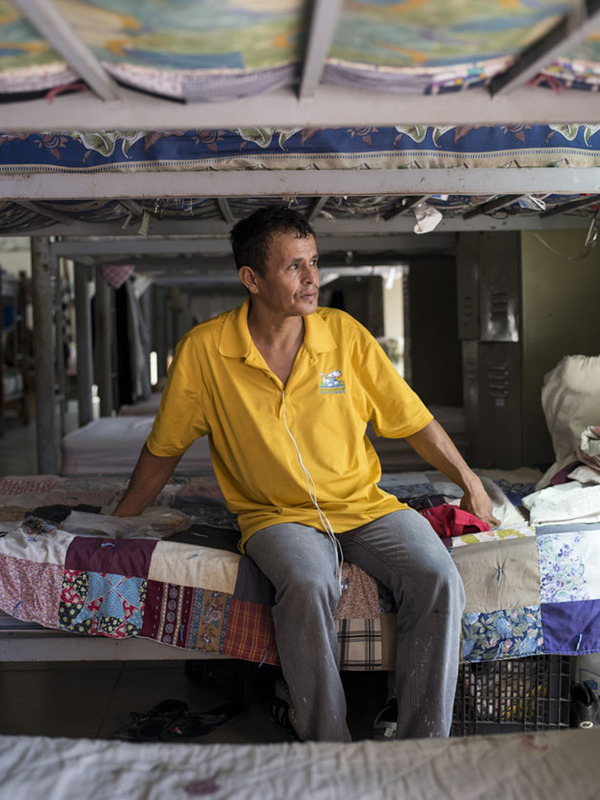 Jose Orlando Martinez, who rode his bike from Honduras to the US-Mexico border, at the Senda de Vida shelter in Reynosa, Mexico. Senda de Vida has housed scores of migrants who have escaped from the cartels. One was a single mother who’d fled Guatemala with her eight-year-old daughter. The girl died when their smugglers’ van flipped over in northern Mexico; the mother broke bones in her arms and legs. 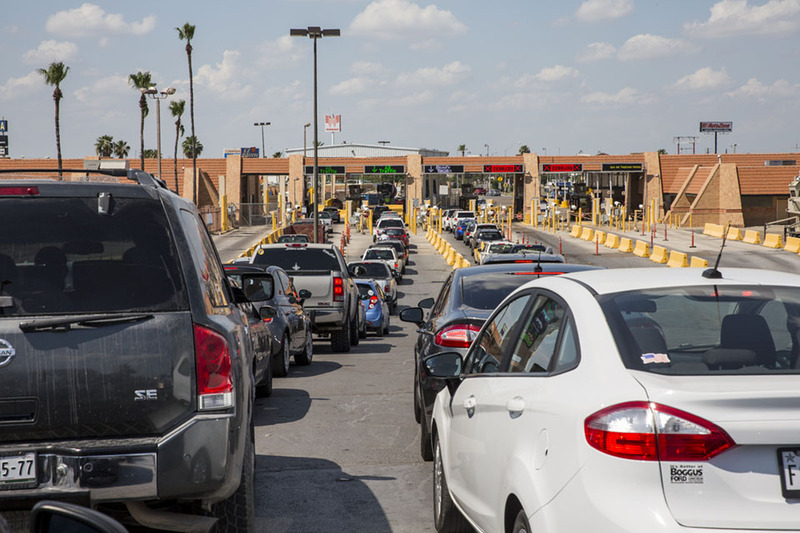 Once she was released from the hospital, she used a walker to hobble across the McAllen-Hidalgo-­Reynosa International Bridge to apply for asylum in the United States, only to be turned around. She was kidnapped before she finished crossing the bridge back into Reynosa. A few weeks later, she was freed after her family paid a ransom. It took two attorneys and two representatives from human rights organizations to pressure American border officials to let her enter the country. When Homeland Security Secretary John Kelly said in March that his agency was considering separating children from their parents at the border, the message reverberated throughout Central America. “There are rumors in El Salvador saying that now they won’t let in women who are with children,” says Marisol Castillo, a mother of two staying in a migrant shelter in McAllen, Texas, less than 10 miles north of Reynosa. (Kelly later walked back his comments.) During previous surges, the shelter saw as many as several hundred migrants a day, transforming its back parking lot into a tent-dotted campground. On the day we speak, Castillo is one of only 12 people staying there. 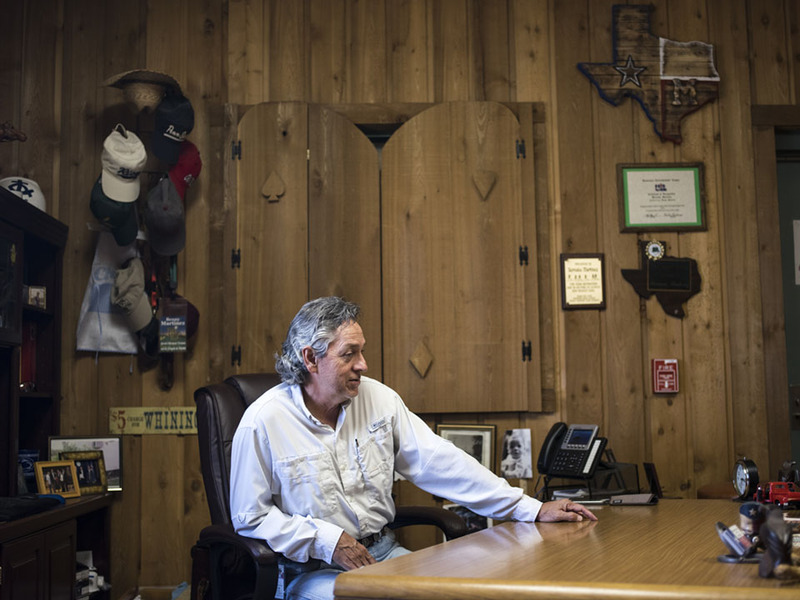 Hector Silva de Luna, the pastor who runs Senda de Vida, says his shelter has hosted hundreds of immigrants who have been sent back by Border Patrol. But those numbers are now dwindling: As word gets out that refugees won’t be admitted, many choose to cross illegally with smugglers, risking extortion, violence, and death in the desert heat. Others are giving up altogether. 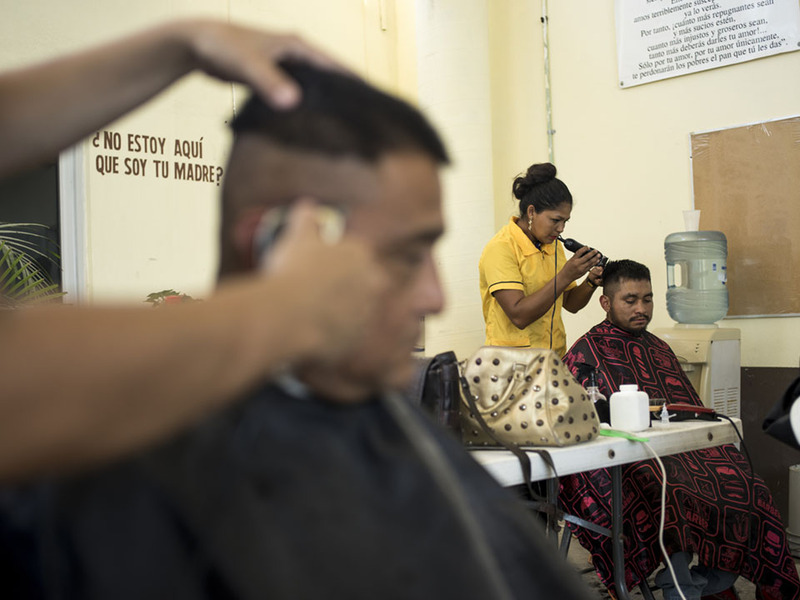 Men get their hair cut at the Casa de Migrante shelter. Janet Valladares Rivera, a Honduran immigrant, at the Senda de Vida shelter. Migrants who want to enter the country’s interior often hike for days to avoid Border Patrol checkpoints. They don’t all make it. Since 2009, authorities have found the remains of more than 550 migrants who have perished in the area. But the rate appears to be slowing. When I visited, they’d encountered 13 bodies since January, few by Brooks County standards. Bailouts—when migrants jump out of a vehicle and run—have become infrequent, 911 calls are down, and the groups crossing over are smaller and smaller. “We call it ‘the Trump Effect,'” says Pompa without a hint of politics in his voice. Brooks County Deputy Elias Pompa at work in Falfurrias, Texas. Throughout the towns that dot the South Texas borderlands, the show of force is on full display. Giant blimp-shaped balloons monitoring migrant and drug trafficking routes stain the otherwise empty sky. Border Patrol vehicles are parked every few blocks in the neighborhoods of Roma, a popular spot for crossing the Rio Grande in rafts. State police and CBP patrol the river by boat. Atop a cement wash overlooking the river, five US Army soldiers with assault rifles stand beside an armored vehicle draped with camouflage netting. Local residents say the soldiers have been there a month, but they don’t know why. When I approach, the soldiers won’t discuss it. Farther east, in and around Brownsville, CBP has set up unannounced checkpoints, including at the entrances of the colonias, migrant neighborhoods that typically have one way in and out and are populated by families with mixed immigration statuses. “In one car you may find three or four different statuses,” says Maria Cordero, a community organizer for the American Civil Liberties Union (ACLU). “If they get stopped, they’ll have fear for one of them.” In June, Thomas Homan, the acting director of Immi­gration and Customs Enforcement (ICE), warned, “If you’re in this country illegally and you committed a crime by entering this country, you should be uncomfortable. You should look over your shoulder.” Cordero says locals feel “quarantined.” On days when checkpoints are present, children may stay home from school; adults skip work and doctors’ appointments. “If you’re in this country illegally…you should be uncomfortable. You should look over your shoulder,” an ICE official warned. In May, Texas passed a so-called “show me your papers” law that will allow, and sometimes require, cops to investigate people’s immigration statuses and turn them over to ICE or Border Patrol. The law goes into effect in September, but the tactic is already in place. Police dashcam videos unearthed by the ACLU show state troopers pulling people over for traffic violations, only to hand them to immigration authorities. In one, a 16-year-old boy weeps after an officer tells him, “The Border Patrol’s gonna take your dad.” Both his father and mother were taken into custody and deported, leaving behind two American-born children. One week later, unable to pay rent or buy food, the kids “self-deported” to Mexico to join their parents. 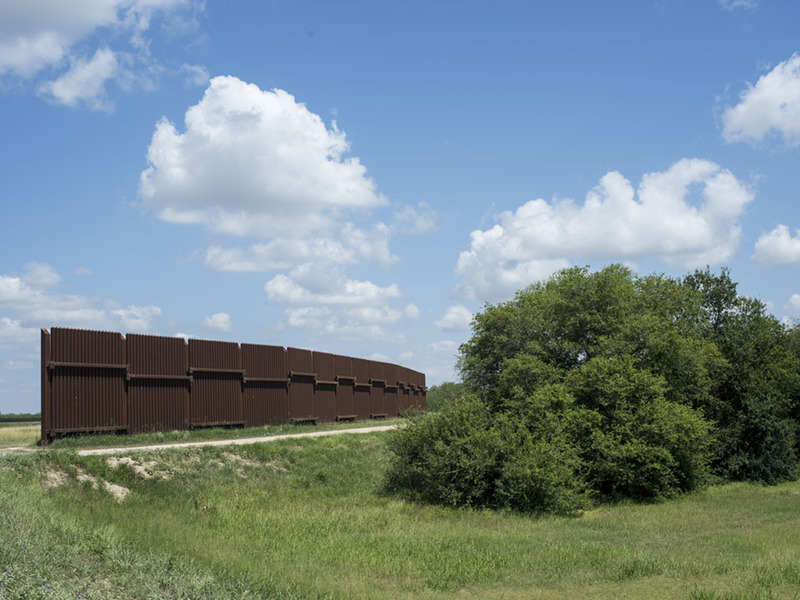 A section of border fence between Brownsville and Hidalgo, Texas. 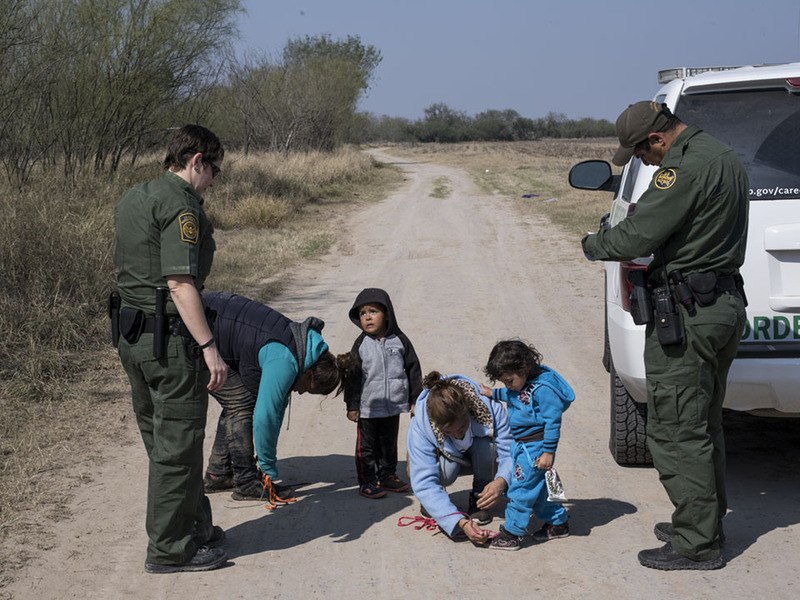 After being apprehended by Border Patrol agents, women and children are made to remove their shoelaces so they do not attempt suicide in detention. Just as refugees coming north get stuck in Reynosa, so too do the recently deported. Several times a week, busloads of deportees are taken from immigration detention centers in the United States and marched halfway across the international bridge. In Casa del Migrante, a Reynosa shelter that mostly hosts depor­tees, 37-year-old Felipe Jimenez Hernandez is using a computer to message his wife and two children left behind in the United States. He lived in America for nine years and had no trouble until he committed the traffic violation that got him caught up in the deportation system. He now sits with his feet stacked, his arms crossed, looking stunned. “We only get a few days here,” he says. Hernandez knows no one in Reynosa. His closest relatives live in Oaxaca, about 1,500 miles south. 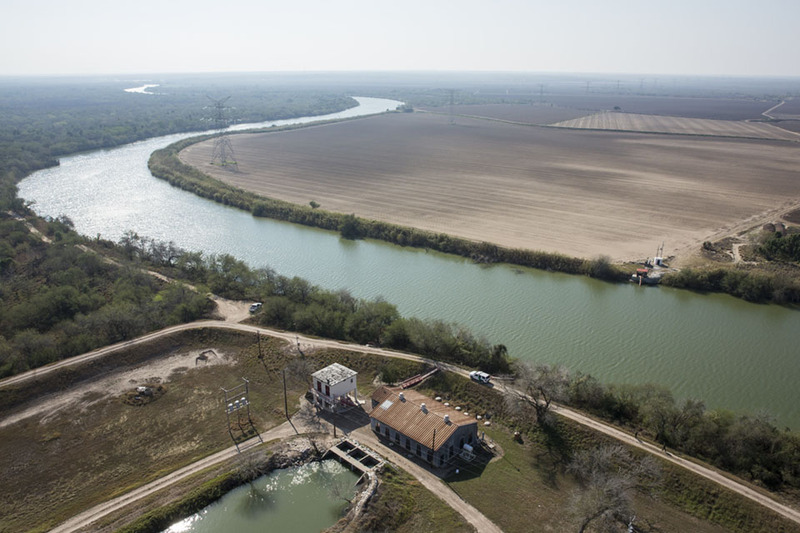 The view from a CBP helicopter scanning the Rio Grande. Recently, the local war between the cartels and the Mexican military exploded, leaving cars and buildings torched and dozens dead. As we walk into the courtyard, we hear that a Salvadoran woman just left with a smuggler who was waiting for her outside. Later, a rumor spreads that four deportees who ventured beyond the shelter gates have been kidnapped. “It’s dangerous to go out,” says Hernandez. “What are you going to do?” I ask him.